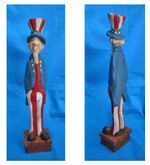 Add star-spangled style to your 4th of July celebration. 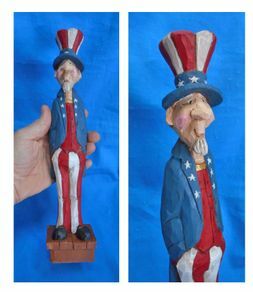 This hand carved Caricature Patriotic Sam is shown holding a American flag. Hand painted in acrylic, a great holiday gift or decoration for your home or office.